A friend of mine was telling me about a fantastic charity auction they attended last week in Tacoma, WA at the Tacoma Museum of Glass. 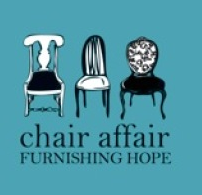 It’s called the Chair Affair and it is sponsored by the Northwest Furniture Bank. 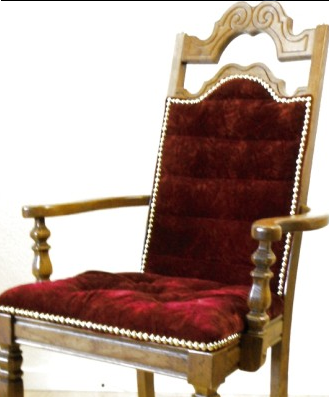 “The mission of NW Furniture Bank is to help restore hope, dignity, and stability in our community by recycling donated furniture to people in need”. Founded in 2007, NW Furniture Bank has served over 7,600 individuals, which include over 4,400 children and we are working with over 90 agencies in Pierce County. We have given over 273 ocean containers of furniture, with a value of over $2.3 million to people in need in our community! The event itself cost $60.00 a ticket and includes hors d’oeuvres and drinks and your opportunity to participate in live and silent auctions. 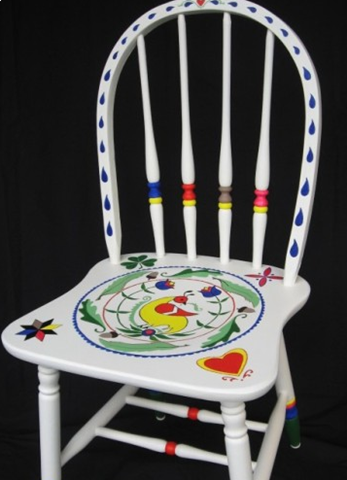 Local area artists create one-of-a-kind chairs which everyone can bid on. 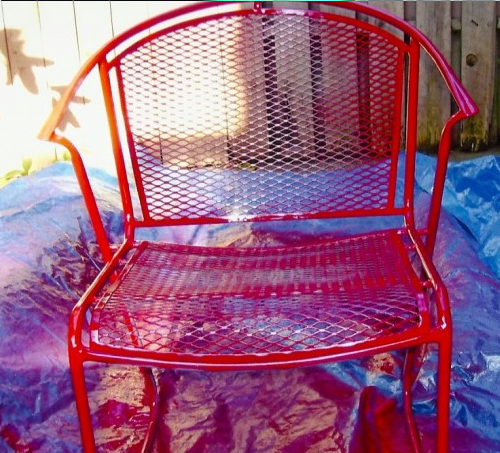 Here is the link with information and pictures of the chairs and artists who created pieces for this years auction. You will be in awe if you go take a peek. I wanted to share a few of my favorites. 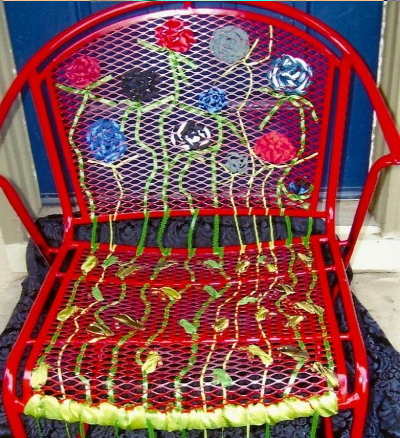 Once Upon A Time bench is an old church pew seat and has been creatively styled by Kristina Smethers and is a Visual Arts teacher at a Seattle Area High School. Her fairy tale story is told oh so gorgeous. Another local artist, Erin Littrell, created Flowers Delight. 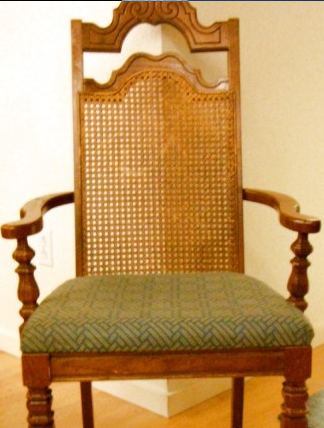 I’m a nature lover and I love love love this chair. Have you read H.G. Wells, “The Time Machine”? 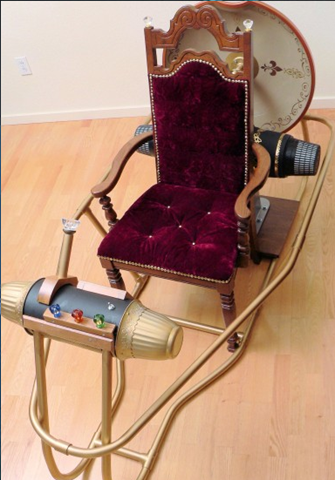 Robert Knapp created The Time Travel Chair. What a creative mind this artist has taking two chairs to and combining them for an awesome place for a child to do their reading. I definitely plan on attending next year. 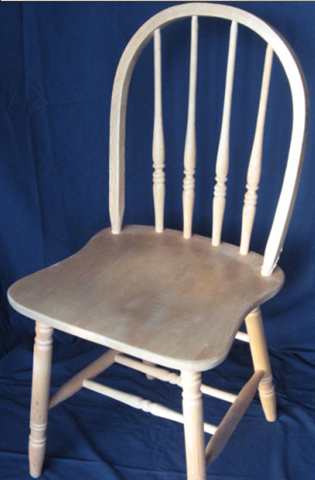 If you would like more information on both the NW Furniture Bank and how you can donate your all chairs check out http://nwfurniturebank.org/. Hi again and welcome to Wednesday’s Organize X 3. Today I’m giving you more than 3 tips. In fact, a whole bunch! Why? Because this is the time of year that everyone starts cleaning out closets and drawers again and I thought you just might find this information useful. In addition to some new info I’ve also copied in some from a post I shared almost a year ago. Where we help children feel a little more SAFE when they need it most! your items are never sold! Cell Phones – http://911cellphonebank.org/ from the website….. In May of 2004, the 911 Cell Phone Bank was created to provide an ongoing and readily available source of emergency cell phones and funds to meet the unexpected and urgent needs of participating law enforcement and affiliated victims services agencies.Since then, the 911 Cell Phone Bank has generated hundreds of thousands of dollars and provided thousands of emergency cell phones for victims services organizations nationwide. We have successfully relieved the operational burden of managing a emergency cell phone program from our participants.By donating your cell phone you are doing more than just providing emergency communications for someone in need. In addition, you are helping to provide funds that support the activities of law enforcement and victims services organizations nationwide. The 911 Cell Phone Bank determines best use and maximizes cell phone donations.Funds are provided to nonprofit agencies for each donated cell phone.Each cell phone is added to the “Bank” of available cell phones for law enforcement. Cell Phones for Soldiers is a non-profit organization dedicated to providing deployed and returning troops cost-free methods to communicate with family while serving in the United States military. Our Mission – We believe prevention is as important as a cure. More and more studies and information are showing links between the waste and chemicals in our environment and the causes of cancer. Recycle for Breast Cancer is committed to reducing the incidence of environmentally caused breast cancer by keeping electronic waste from entering our landfills and environment. RFBC provides a no-cost, national recycling program, so anyone, anywhere from any economic status can participate. Our mission is to prevent electronic waste and the toxic chemicals they contain from entering our landfills and the environment, to help protect the environment and support the fight against breast cancer. It is our belief by preventing these items from entering our environment by providing a recycling/reuse program we can make a difference and help reduce the incidence of environmentally caused cancer in our country. Collect electronics such as; empty toner and inkjet cartridges, used cell phones, laptops and PDAs. Contact us for a prepaid shipping label or collection bag or box. Send in your items for recycling. The mission of Dress for Successis to promote the economic independence of disadvantaged women by providing professional attire, a network of support and the career development tools to help women thrive in work and in life……. Happy Friday and Woot Woot!!! 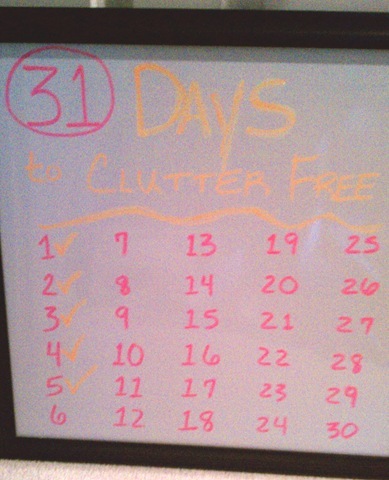 We are at the half way point of the 31 Day Challenge to go Clutter Free. Day 14, can you believe it. To look at all posts so far just click into my sidebar. I shared recycle and donation information on Day 7 . I wanted to add to this list and share with you today some additional places that are worth taking the time to donate to. And yes, all three have a story behind them. The Lions Club – a worldwide organization with groups in every city. These individuals come together to volunteer their time in their communities to make a difference. Their influence is positive to their surroundings. My dad was a member of the Lions Club from the day he retired from his job to the day he died, 23 years. He ran the Eye Bank for his group and what that meant is he collected used eye glasses , and using aised funds, had the proper prescriptions put in glass frames , giving them to those that could not afford to purchase a pair. A very worthy cause. In my quest these past two weeks to de-clutter I found 6 pairs of glasses and I know where I am taking them. Contact the Lions Club in your area today and do the same. Battered Women’s Shelter – I used to travel a lot for work and would bring home the shampoos, conditioners and lotions that were left in my hotel room. I just tossed them into ziplock bags and threw them in the bottom of my linen closet. Several years ago I got my work group engaged. I went to Michaels and bought 100 small brown bags. Everyone brought in their extra samples. One of my co-workers brought in toothbrushes and toothpaste. Another had an over abundance of stickers, pens, writing pads. We filled 70 bags with all of the items that we just had laying around. In order to contact a Battered women’s shelter you have to call the police as they need to run a background check on you first. Remember these folks at the shelters, adults and children have been pulled or ran from their homes because they were being abused. In many cases they have left with nothing. So a bag with soap, lotion, shampoo and all the rest of the items, the smallest of items to us, can mean so much to someone else. I was able to make contact and drop off those 70 bags and what a good feeling it was. Hospitals and Police Stations – Ever wonder what to do with all those Beanie Babies you madly collected or the stuffed animals you won at the local fair. Having them cleaned and taking them to a hospital or police station might benefit a child that needs to hold on to something for comfort. Books are very helpful too. So take a look at your clutter and really ask yourself will it benefit someone else? YES! Congrats! 5 Days complete and I’m feeling groovy! 🙂 How about you? Yesterdays task was to take an inventory of all your household cleaners. I had a list of 33. How many did you have? Less or more than my 33? There’s a method to my madness you know. When you rid the clutter there’s always the clean-up right? So….now you know where and what your cleaning products are. LOL, pretty smart of me, eh? Today, Day 6, it’s time to clutter free the kitchen. Grab the hefty bags. Here’s what you want to do. Divide the kitchen into sections and if you can’t get to all the sections today, that’s okay. You’ll have Day 7 as well – no tasks that day, just a tip or two. Canned food – toss old expiration dates. Take a look at the remaining and really ask yourself are you going to use it because if you’re not sure maybe think about donating to the food bank. Everyone may not be as lucky as you. Utensils, dishes, glasses, fry pans, etc. – I have 2 crockpots, 5 pie plates, and 6 water bottles. Ummmm, I don’t think I really need all that. Pantry – food – again, toss the old, especially the stale cereal! And what about the tupperware? Too much? Mine has somehow grown like bunny rabbits and I never use or need all of it. What about the lid that hubby threw in the dishwasher and now it’s warped and doesn’t snap on that well. I’m keeping it why??? TOSS!!! Are ya getting my drift? Garbage, Donate and Sell should be the three categories that start filling up after a trip through the kitchen. Then take them there cleaners and make it shine! I’m sending everyone an important message and valuable information today. It’s the time of year when lots of spring cleaning is happening. The question becomes what to do with all those items you have decided to get rid of. I’m sharing with you a number of organizations you can donate to. Remember, it only takes a little time to make a difference! The 911 Cell Phone Bank determines best use and maximizes cell phone donations. Funds are provided to nonprofit agencies for each donated cell phone. Each cell phone is added to the “Bank” of available cell phones for law enforcement.